These women had two sleepless nights to start their grieving process. They had something along the lines of 36 hours to mourn their loss and to begin dealing with the harsh reality of life without Jesus. It had to have been painful and scary and confusing. As soon as the Sabbath was over, they started together for the tomb to take care of one bit of unfinished “business”. They were busy making their plans on their way there. Their biggest concern was how they would roll away the stone. It was in the midst of that mundane concern and preoccupation that God provided a game-changing turn of events…the empty tomb. 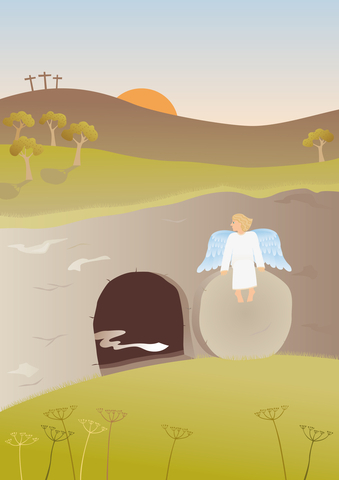 This entry was posted in Church Communications, Church Unity, The Church's Influence, the revolution and tagged amazed, angel, communication, Easter, game, grief, mark 16, sabbath, stone, story, tomb, women on February 18, 2014 by Blake Coffee.